Pigs & Pugs Project – Encouraging compassion and tranquility for all. Making the lives of pigs and pugs happier and healthier. Join Pigs & Pugs Project for an afternoon of wine tasting with your canine companions. On Sunday, April 28, we’ll host “Pigs, Pugs & Pinot” at Tyber Creek in Bloomingdale and welcome your four-legged furry friends for fetch on the patio (all pug-loving pups welcome). For those looking for additional family members, we’ll be joined by the Humane Rescue Alliance, who will have adorable adoptable pups (& cats) available, as well. Special guest Charlotte the potbelly pig from Life with Pigs Farm Animal Sanctuary will also be gracing us with her presence. Included in the $25 ticket* is a glass of pinot (or whatever you fancy), vegan nibbles, and goodies for your pup (and of course the doing-good feeling!). We hope to see you on April 28th! 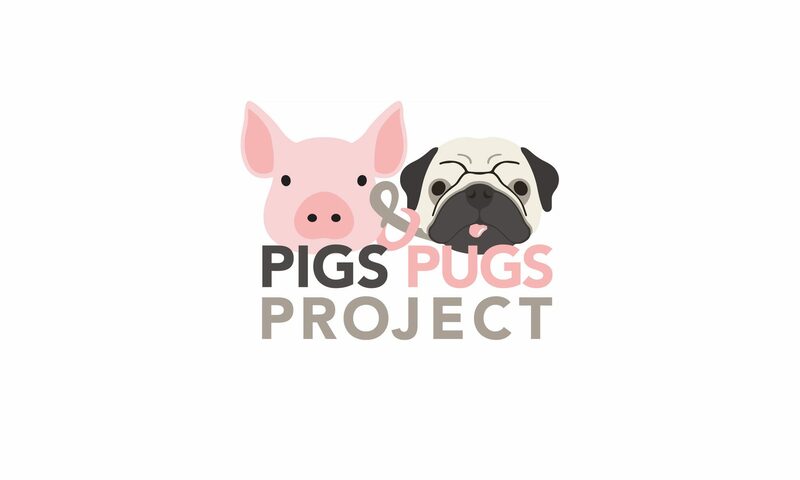 *Pigs & Pugs Project raises awareness through special events and supports the work of pig sanctuaries and pug rescue organizations throughout the United States through micro grants. A portion of all ticket sales will benefit Life with Pigs Farm Animal Sanctuary and a pug rescue in need.